On the Season One finale of Valley’s Gold, host Ryan Jacobsen takes a look at Valley holiday traditions.His first stop is to the Hillcrest Tree Farm in Reedley for a visit with Melissa Bautista. This long running family business gives people the chance to select and cut their own Christmas tree without having to trek into the forest! Then Ryan returns to the days of Christmas past with the stories of the Nation’s Christmas Tree and Christmas Tree Lane through the lens of Pop Laval. 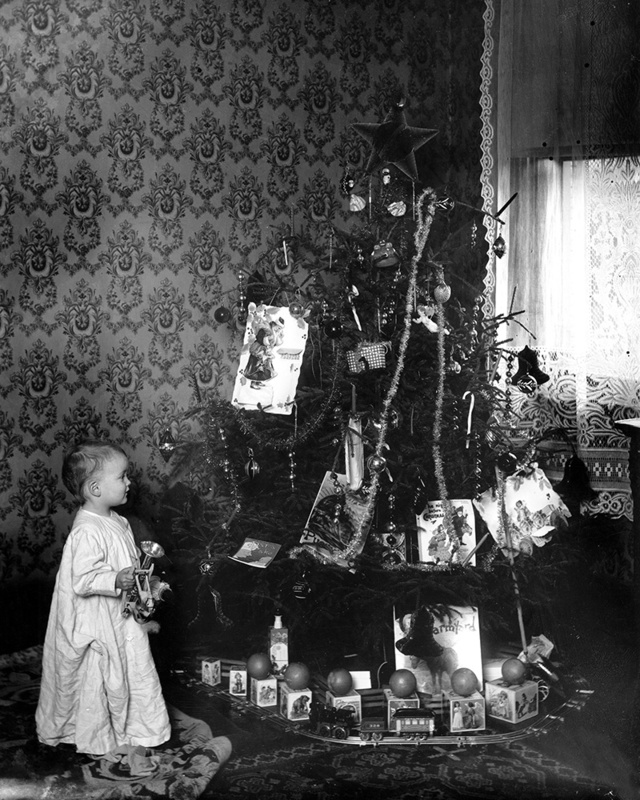 From candles used for lighting on the trees, to the first electric Christmas lights, to the toys brought by Santa over 100 years ago, these irreplaceable photos capture the magic of the season. Did you know that beautiful poinsettias are grown right here in Fresno County? Learn about the many varieties of this Christmas specialty plant with Jon and Connie Reelhorn of Belmont Nurseries. In this time of giving, Ryan stops in to the Community Food Bank to find out from CEO Andy Souza how local growers are making every day a holiday for many families in our area and across the country by providing fresh fruit and vegetables they would not otherwise have access to. Jim Bates from Fowler Packing shares his company’s long standing commitment to the Food Bank and to encouraging healthy eating habits for those in need. The season wraps up with the gift of tamales from Sal’s Mexican Restaurant in Selma. Owner, Lorraine Salazar takes Ryan behind-the-scenes of this tasty treat, a tradition for many of our Valley families. Put it in a box and tie it with a bow – the full Season One of Valley’s Gold is available for order now. Proceeds benefit the production of Season Two! Lots more Valley’s Gold to share. Thank you for being a part of the ValleyPBS/Fresno County Farm Bureau family! 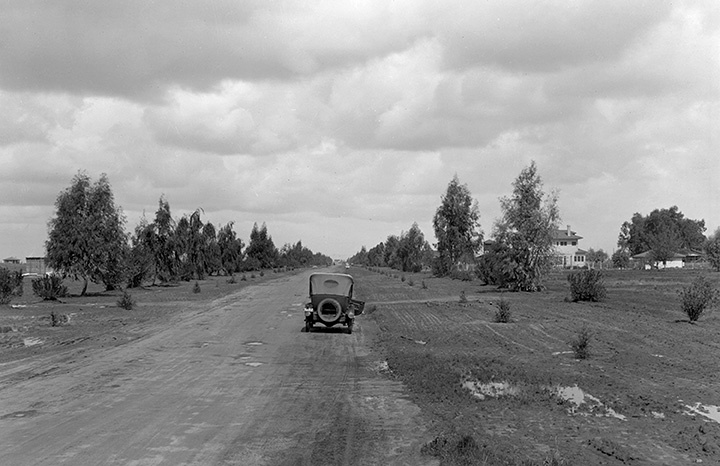 Charles Lee of the Sanger Chamber of Commerce was visiting the Grant Grove area in 1924. As he stood at the base of the 267-foot General Grant Tree, one of the oldest and largest growing things on the earth, a small girl approached. Looking at the tree in awe, she stopped for a moment in silence. Then she said quietly, “What a lovely Christmas tree that would be!” She turned and left. Lee returned to Sanger but could not forget her words. He wrote to President Calvin Coolidge to tell him about his experience. Four months later on April 28, 1926, President Coolidge officially designated the General Grant Tree as the Nation’s Christmas Tree.The people of Sanger sponsored a service in front of the tree in 1925. 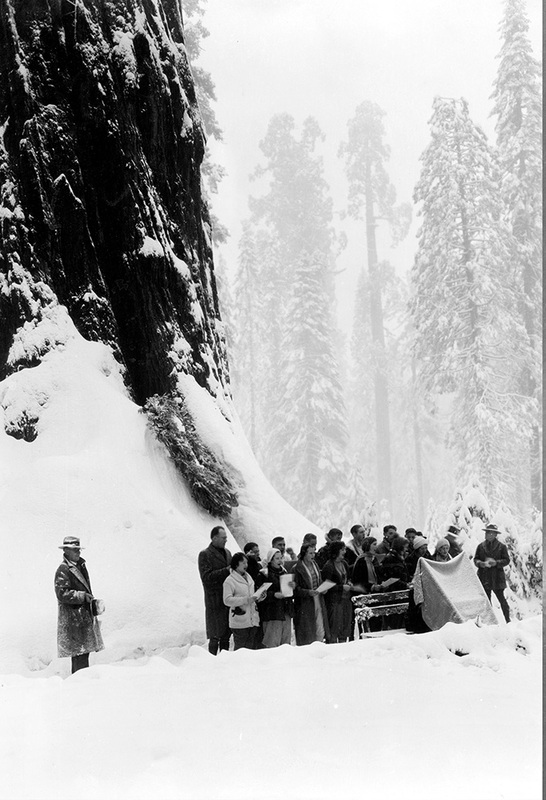 As the years passed, hundreds made the trip to the Nation’s Christmas Tree. The service is still held on the second Sunday of each December and is broadcast throughout the nation. In 1956, the General Grant tree was given added significance when President Eisenhower named the tree “our only living national shrine” and a symbol dedicated to the memories of those who have died serving our country. General Grant Tree was discovered in 1862 and is the third largest sequoia. Estimated age is about 2,500 years old. As the Fig Garden development took shape, JC Forkner and Wylie Giffen hired landscape architect Horace Cotton to design the plantings for the tract. Cotton’s plan featured a main street lined with deodar cedars.Now, over eight decades later, the cedars have grown in size and beauty and so has Christmas Tree Lane –which extends for nearly two miles and includes over 300 lighted trees and decorated yards.In December 1920, Mrs. WP Winning hung lights on the cedar tree in front of her Van Ness Boulevard home in memory of her son. After admiring Mrs. Winning’s beautiful tree, members of the Fig Garden Women’s Club and other residents of the boulevard took up the idea of outdoor decorations as a project and decided to light their trees. By 1928, 10 families participated. In 1930, Dr. WW Leslie saw outdoor decorations used in Altadena, CA as a community project and with some members of the Fig Garden Men’s Club, Dr. Leslie came to the women’s club and volunteered to help organize displays throughout the neighborhood. In December, 1930, the first official Christmas Tree Lane opened with thirty lighted trees stretching one quarter of a mile along the boulevard. Each year, the number of lighted trees grew. Now, over eight decades later, the cedars have grown in size and beauty and so has Christmas Tree Lane –which extends for nearly two miles and includes over 300 lighted trees and decorated yards.